Adobe Connect is an outstanding program that enables you to create or attend online meetings, virtual classes, web conferences, etc. By including full supports of both video and audio meetings, it becomes more and more popular all over the world. Nevertheless, when it comes to have an online session on Adobe Connect, it is crucial to record the whole process with all details involved for later reviewing. In this case, there are diverse screen recorders appear specializing in recording Adobe Connect. 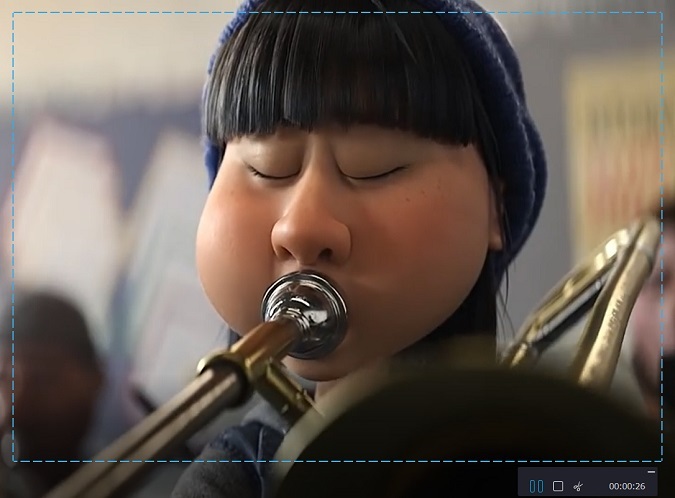 You may have no idea in choosing a decent recorder to make a recording for Adobe Connect. Here two feasible ways come to assist, which are designed with special advantages. To do a good job in capturing video, Joyoshare Screen Recorder is regarded as the most professional screen recorder, which can be utilized to record Adobe Connect activities, like presentation, online meeting, web conference, etc, as well as other desktop video doings, such as live chats, Skype calls, streaming movies, online games, etc. To record Adobe Connect, you can define the capturing region referring to your preference and decide favorable output format along with available devices according to actual demands, for instance, AVI, FLV, SWF, WMV, MKV, MOV, iPhone, Andriod, Xbox, etc. 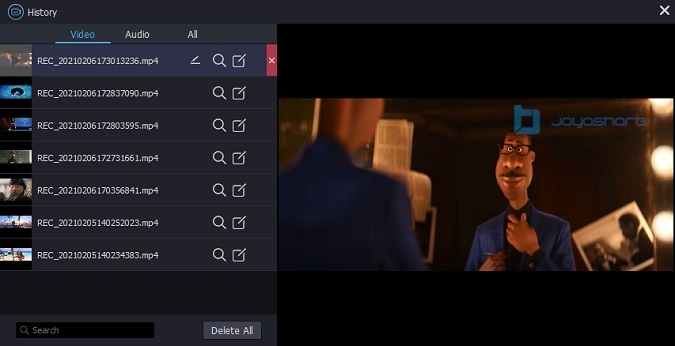 Excellent as Joyoshare Screen Recorder is, it empowers you to preset a scheduled task ahead of time, add different effects to cursors, take screenshots at any time, cut video to distinct segments, manage captured Adobe Connect videos, etc. Any completed videos for Adobe Connect can be uploaded and shared to YouTube. Furthermore, Joyoshare Screen Recorder can come in handy when you are in need of an independent audio capture. Go straight to launch Joyoshare Screen Recorder as long as you have already installed it on your PC so that you can verify what it can do for you. To match with different users' preferences, Joyoshare Screen Recorder comes with three accessible methods to choose a capturing area. It allows you to directly hit "+" button to customize screen size by zooming in or zooming out the pop-up window, enter specific width and height number to frame and select a systematic fixed ratio through drop-down menu. Click the gear icon on the right corner and then all recording options will be presented in your sight, which facilitates you to close system voice or microphone sound, choose common format or device, make use of shortcuts, make scheduled capturing task, highlight clicks, etc. Note that if you want to keep audio track left, you need to open the microphone voice. On the contrast, you will not hear any sound from captured video if you close it. Note: When Joyoshare Screen Recorder performs as an audio capture alone, it is capable of recording any audio tracks on your desktop screen, including music game, online radio, streaming music, etc. Run Adobe Connect and directly start a meeting. Simply click "REC" button. Joyoshare Screen Recorder will begin to record video for Adobe Connect. During the period of 3 seconds countdown, you can adjust capturing window to a proper position. Press "Stop" button to end the recording. In the "History" list, you can find all recorded Adobe Connect video, like Adobe Connect meeting, Adobe Connect training, Adobe Connect presentation and so on. Joyoshare Screen Recorder permits you to preview, rename and add information to any captured videos. The fastest way to record Adobe Connect meeting, conference and other ongoing activity is to get help from its local support, given that Adobe Connect is equipped with a built-in recording tool. Apparently, it is a time-saving method considering you don't have to make any other software involved. However, it comes with downsides as well. The produced Adobe Connect recording is not satisfying enough owing to its quality is not as high as other dedicated recorders export. Additionally, there are no more colorful recording functions provided to you. But if you just want to meet basic capturing requirements, you can come here and go ahead to see how to take advantage of this built-in Adobe Connect recorder to capture Adobe Connect activities effortlessly, taking Adobe Connect meeting recording as an example. After opening Adobe Connect, you can click "Record Meeting" in the meeting menu. In next step, define a recording name as well as a capturing meeting summary. Then a message displaying "This meeting session is being recorded" will be shown to indicate you have started a meeting already, during which both video and audio will be recorded. Once the meeting finishes, press the red button to stop recording. The recorded Adobe Connect file will be saved in the Recording page automatically. Access your "Adobe Connect Central" page, from which you can find all required information. Hit "Meetings" tab and choose recorded meeting you want to share. Go for Meeting information > Recordings > URL for Viewing. This link can be used to send to other participates or users to see the whole process of Adobe Connect meeting. You can share it so that others can enter it without any times limitation.